The perfect compliment to your anti aging routine! 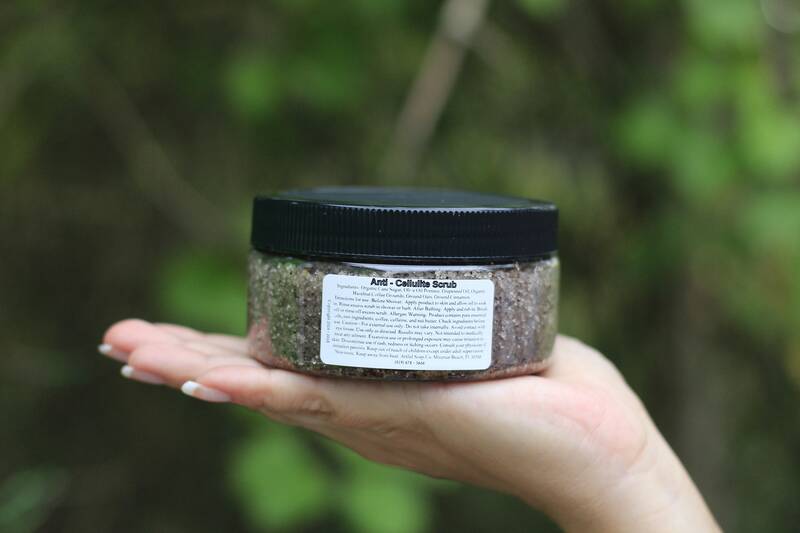 This sugar scrub contains all the same ingredients as the rest of our anti cellulite line and is sure to smooth the roughest skin. Light base oils won't make you feel greasy and the coffee grounds add more scrubbing power than most scrubs available. 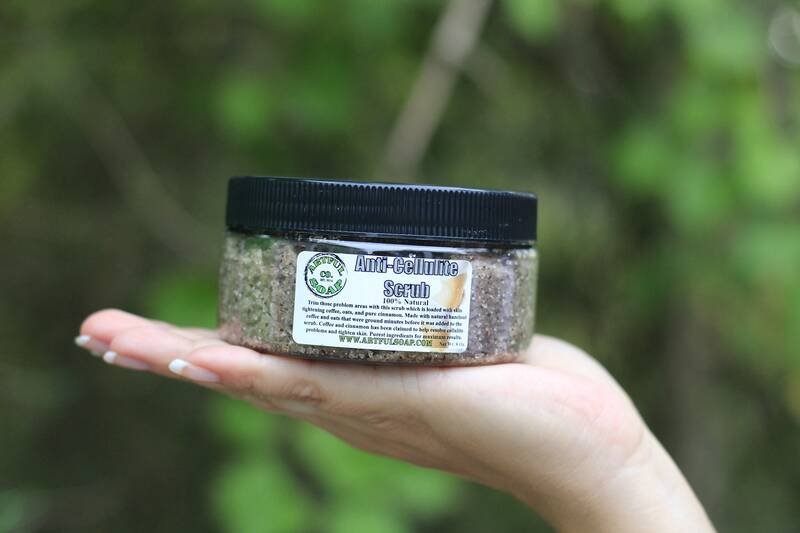 Combine all of our anti cellulite line together for a powerhouse bathing routine that is unmatched! We did extensive research to find out which natural ingredients had the biggest impact on cellulite. What we found was caffeine loaded coffee, natural oats, and pure cinnamon work best to dissolve cellulite beneath the skin. Most recipes we found used one or the other. We decided to combine them all! Get yours today and start scrubbing away the years! 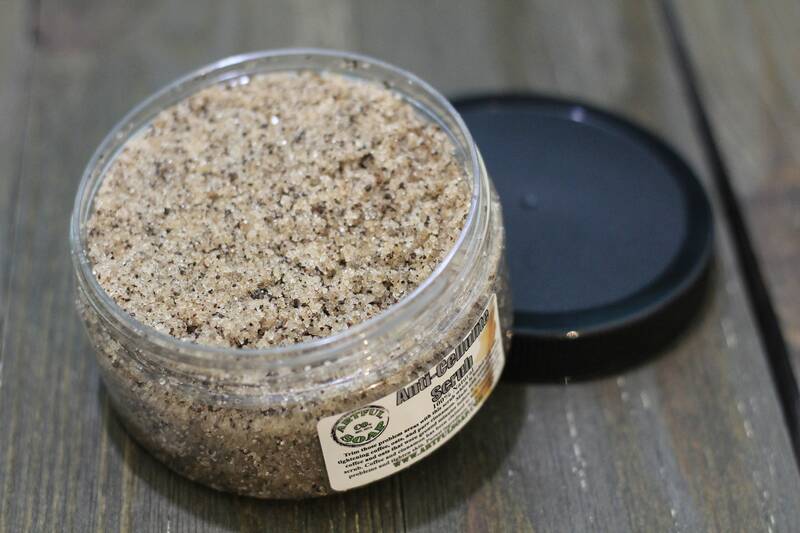 Ingredients: Organic Cane Sugar, Grapeseed Oil, Olive Oil, Organic Hazelnut Coffee Grounds, Ground Cinnamon, Ground Oats. 8 Oz Net Wt.